Horses and humans are both mammals. Consequently, we share many of the same medical conditions. Horses can suffer from stress, arthritis, pain, seizures, obesity, diabetes, cancer, and even anxiety. That is because there are universal similarities in the anatomy, physiology, biochemistry, and metabolism of all mammalian bodies. Cannabidiol (CBD) has emerged as a highly effective and immensely safe medicinal supplement that can treat these various ailments and bring balance to all these mammalian systems. It may surprise you the number of various ailments CBD oil for horses can help with. CBD oil is a derivative of the hemp plant. It belongs to a class of chemical compounds known as cannabinoids. All mammalian bodies naturally produce certain cannabinoids. Cannabinoids which naturally occur in the body are known as “endocannabinoids” (Anandamide, 2-arachidonoylglycerol, 2-arachidonyl glyceryl ether, etc.). CBD, however, is considered to be a phytocannabinoid. Phytocannabinoids come from sources outside the mammalian body. Hemp is an example of a plant with high levels of phytocannabinoids. Cultavists grow and harvest hemp for it’s high level of CBD production. Most research and studies revolve around the phytocannabinoids CBD and THC. This is because experts believe these cannabinoids have the most medicinal value. The body produces endocannabinoids to interact with the endocannabinoid system (ECS). The ECS is also found in every mammalian body. The ECS is in part responsible for maintaining the balance of many major systems in the body (such as pain, anxiety, stress, mood and more). Some times the body struggles to keep up with endocannabinoid production which causes an unbalance in the ECS. This unbalance is known as an “endocannabinoid deficiency”. Luckily for us and all mammals alike we can counteract this unbalance by ingesting phytocannabinoids (CBD, THC, and other beneficial cannabinoids). Ingesting CBD increases the number of cannabinoids in the body which in turn corrects the endocannabinoid deficiency. With the deficiency corrected the body goes back into a natural balance also known as homeostasis. 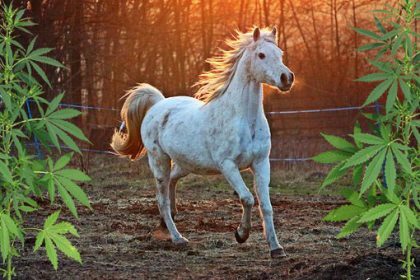 How Does CBD Oil Work with a Horse? CB1 receptors – located primarily in the horse’s nervous system. 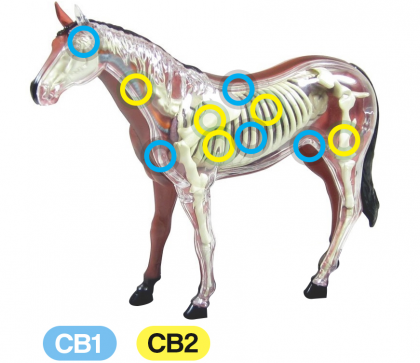 CB2 receptors – located primarily in the horse’s gut and immune system. Interestingly enough, the majority of all animals have an ECS. This includes really primitive species that have very basic anatomies. Biologists have identified that the most basic animal with an ECS and cannabinoid receptors is a sea-squirt. This primitive animal evolved and developed these physiological parts almost 600 million years ago! You can see that this ECS and its cannabinoid receptors are universal amongst the animal kingdom. Consequently, the CBD we take will have incredibly similar effects on all our bodies. It is also highly adaptable and is effective at treating a variety of conditions that may affect your horse. This is one of the most common ailments that horses may face throughout their lifetimes. This is especially true if the horse is more active. According to TheHorse.com, “Recent estimates show that approximately 60 percent of lameness problems in horses are related to OA”(Osteoarthritis). This condition is caused by chronic and persistent inflammation that leads to permanent deterioration of cartilage in the joints throughout the horse’s body. Cartilage is softer than bone and it can easily be worn down by a chronic condition like arthritis. Consequently, for horses, arthritis can be a horribly painful condition that can adversely affect their quality of life. Arthritis is not a curable condition. CBD is effective in treating arthritis with both the overlying pain and the underlying inflammation. These are the two major components of arthritis. Approximately 90% of horses will be diagnosed with a gastric ulcer at some point in their lifespan. 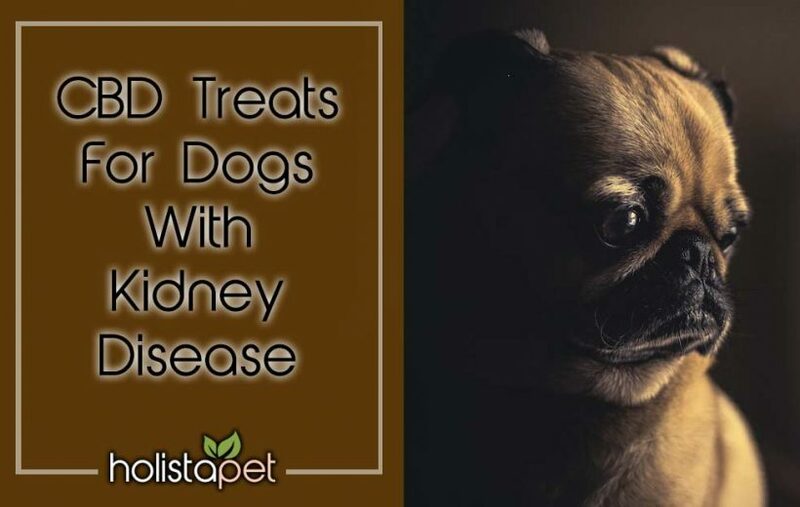 Researchers and veterinarians are not entirely certain why it is so common, but it can prove to be challenging to treat. It is officially known as equine gastric ulcer syndrome and is incredibly painful and disruptive to the horse’s health and wellbeing. CBD oil for horses is also effective in treating these ulcers because of its interactions with the ECS, in this case primarily the CB2 receptors found in the mammalian gut. Ulcers are caused by bacterial infections that are effectively controlled by a healthy immune system, so CBD oil treats ulcers by boosting the efficacy and efficiency of these CB2 receptors. CBD improves gut health. This is another common ailment in horses. Horse veterinarians diagnose hundreds of Laminitis cases on a daily basis. It is the inflammation of the tissues located within the horse’s hooves. In a sense, laminitis is similar to arthritis in that it is a chronic inflammatory condition and it similarly causes a great deal of pain, discomfort, and distress. This is especially true because it is occurring in the hooves, making it virtually impossible to even attach horseshoes. Much like other inflammatory conditions, CBD oil is exceptionally effective in treating this condition as well. This is a medical condition that is present in many mammals (including humans, particularly young children). It is another chronic inflammatory condition, this time present in the gastrointestinal tract of the horse. They are not entirely clear to what causes Colic in horses, but it may have to do with an imbalance of healthy bacteria (also known as gut flora) in the digestive tract. It causes bloating and abdominal pain, both of which CBD oil effectively treats. This is yet another inflammatory condition, this time in the horse’s ligaments (most frequently in the legs and/or coffin joint). As with all other forms of inflammation, CBD oil is extremely effective in decreasing these symptoms. CBD oil is also effective at reducing allergies and various skin conditions that are related to inflammation or auto-immune disorders. These include pruritis and hives. Inflammation is a natural immune response in the mammalian body. Symptoms of inflammation are redness, pain, heat, and a loss of function. Excessive inflammation can cause permanent damage. CBD acts as a powerful anti-inflammatory agent, especially when administered on a daily basis. These diseases are similar to arthritis. They occur when the mammalian immune system attacks itself and results in chronic inflammation all over the body, especially the joints. In fact, anti-inflammation is possibly the single most powerful effect of CBD on the mammalian body. In all mammalian bodies, the ECS governs the pain response. CBD interacts with the ECS to decrease aches and pains all over a horse’s body. Pain and inflammation usually come hand and hand, and CBD treats both. Due to its interaction with the ECS, CBD naturally boosts a horse’s immune system, particularly in its modulation of CB2 receptors. This allows your horse to more effectively fight off tumors as they are developing. CBD helps fight cancer and can also treat the side effects of conventional cancer treatments. Horses may experience these negative emotions for a variety of reasons, including traffic noise, fireworks, fear of predators, or any changes in their environment. Much like other mammals, horses are sensitive and CBD interacts with the ECS to alleviate their anxiety. Just like all other domesticated animals with uncontrolled diets, horses are developing many of the same diseases as their owners, including obesity, diabetes, and heart disease. CBD can decrease all these conditions via its interactions with the ECS. It also balances certain hormones in your horse’s body to keep their appetite at a healthy level (whether it’s too high or too low). 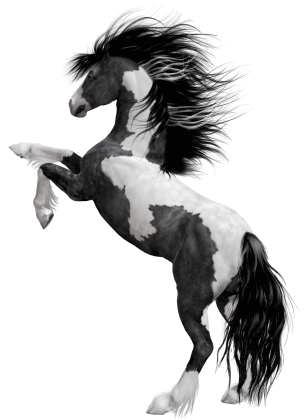 The ECS controls your horse’s entire nervous system. Consequently, CBD effectively treats various seizure disorders. It also decreases muscle spasms and tremors. CBD in part is how your body maintains its natural state of homeostasis. This is just a fancy way of saying that your body is in balance and your health is at an ideal level. This means CBD oil for horses is most effective when used as a supplement that is integrated into your horse’s everyday diet. This is because its consumption is not linked to just one set of benefits; if taken every day, it will allow your horse to achieve an overall state of homeostasis. 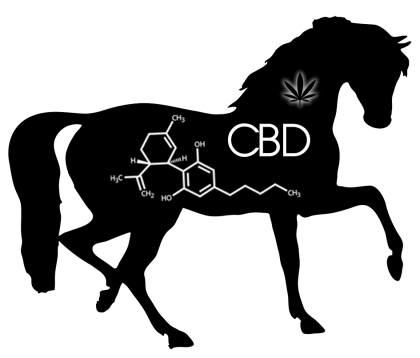 Is CBD Oil Safe for Horses? It is incredibly safe for all mammals. All research indicates that this innovative and groundbreaking supplement is effective while being gentle on your horse’s body and system. These side effects are incredibly rare. Most horses do not exhibit them, and even if they do, side effects pass as soon as the horse’s body gets used to the supplements. These side effects usually disappear as the body is getting used to the CBD. Once your horse’s system has properly integrated CBD oil into their daily functioning, these rare side effects will disappear entirely. Furthermore, the benefits of the supplement far outweigh any occasional side effects. This ensures that each product you purchase contains the proper dosage of CBD oil. Monitoring the potency and dosage of the CBD oil allows owners like you to treat your horses effectively and safely. CBD oil is a derivative from the hemp plant. Hemp crops have to be planted, grown, maintained, and harvested just like any other plant. All of the supplements sold by Holistapet are 100% organic. This essentially means they use no pesticides at any point or time in the growing process, resulting in an exceptionally safe and natural product. Manufacturers extract CBD oil from hemp plants via the use of carbon dioxide (CO2). This is a green method of production that results in no harsh chemicals or toxins remaining in the final product. These various tests are always undertaken by impartial third-party companies in order to get certificates of analysis (COA’s) for the various products manufactured and sold. You should always work with your veterinarian when administering a CBD oil for horses. This is especially true if the animal takes any other medications. Besides that minor precaution, CBD is remarkably safe and impossible to overdose on. If the dosage you give happens to be too high, your horse will simply sleep it off. 1/4 milligram (0.25 milligrams) for every one pound of body weight. This is a “regular dose” and is administered for mild aches and pains, mild intestinal issues (such as mild gastric ulcers or colic), stimulating your horse’s appetite, mild restlessness and/or agitation, and the various ailments associated with old age. It is also used to promote overall wellness and health by maintaining homeostasis. 1/2 milligram (0.5 milligrams) for every one pound of body weight. This is a “strong dose” and you can use it for severe or debilitating pain (chronic or acute), severe arthritis, seizures, serious muscle spasms, and tremors, various types of cancer, serious gastrointestinal distress (from ulcers or colic), serious vomiting, and severe agitation. You can also use this handy chart as a reference to help you determine your horse’s CBD dosing size. You can collaborate with your veterinarian to safely adjust these doses and increase them in increments that result in maximum relief for your horse. You know your animal best, so just monitor their behavior and see if they are getting the relief they need from their distress, pain, or discomfort. CBD oil is always most effective when administered twice a day (one dose in the morning and one dose in the evening). You can give your horse CBD oil on an empty or full stomach. Severe symptoms will improve within about one hour of administering the CBD while more chronic conditions will usually get better within 1 to 2 weeks of daily administration. 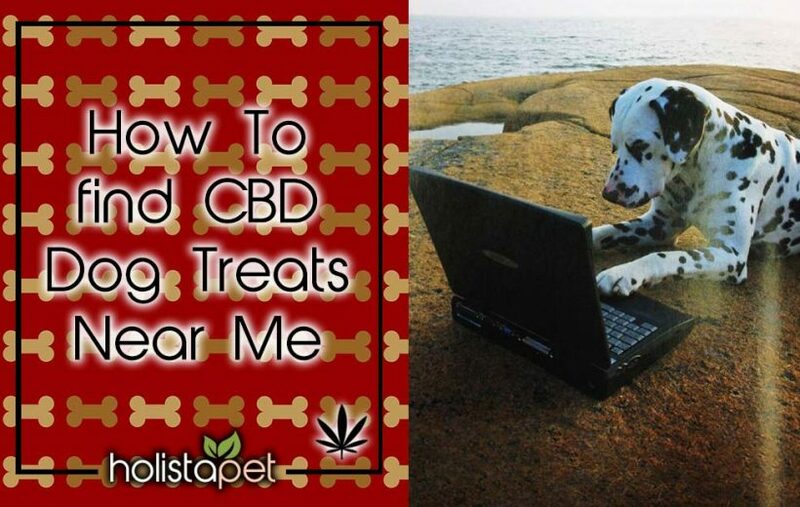 CBD for Dogs. What you should know. FAQ’s.